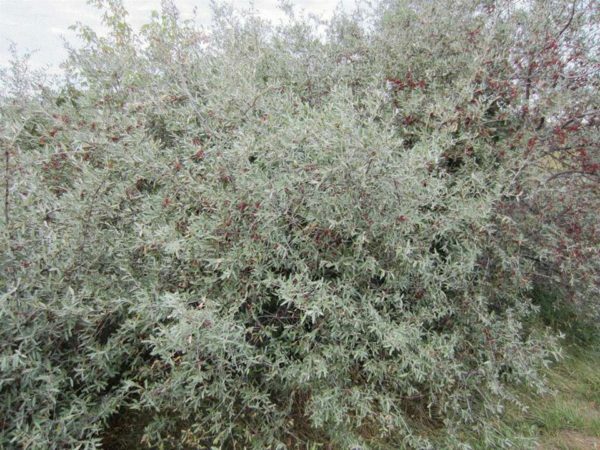 Silver Buffaloberry is a large deciduous thorny shrub that grows to a height and width of 8-12′. It thrives in moist areas near rivers where it has the potential to form into thickets. It is tolerant of some flooding but will not tolerate standing water for long periods of time. 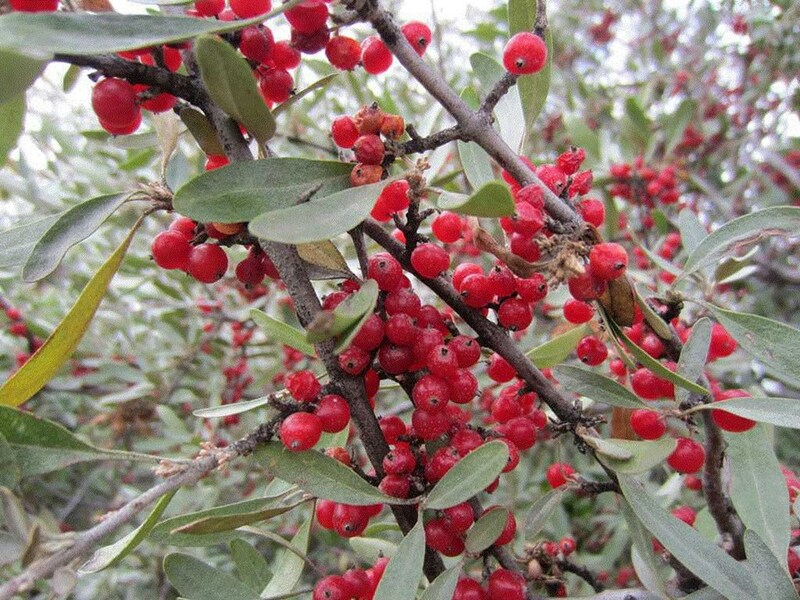 Buffaloberry tolerates drought, erosion, light shade and poor, dry soils. This shrub is dioecius, meaning male and female flowers are on separate plants, so both are required for fruiting to occur. Flowers are small and yellow and bloom in March. 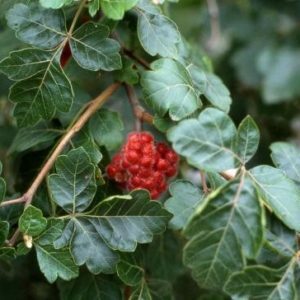 They are followed by bright red fruits in the fall which are edible but quite sour. Eat the fruit in moderation due to its saponin content. This shrub has an upright and bushy habit with silver scaled leaves and branches. The thickets serve as cover and nesting sites for various birds and animals. 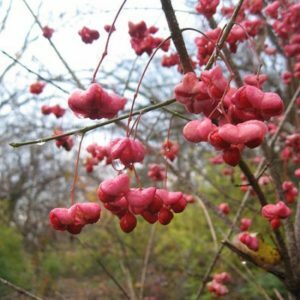 This plant was first collected by Meriwether Lewis in 1804 in the area where the Niobrara River and the Missouri River meet in northeast Nebraska. 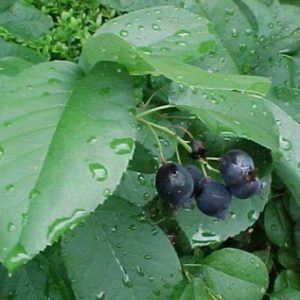 Silver Buffaloberry is used in windbreaks, screens and erosion control.